FAST LANE Take your pick of beer tour soundtracks: 'Don't Drive Drunk' by Stevie Wonder or 'I Like Beer' by Tom T. Hall. One of the struggles with "beer travel" is the difficulty in safely and respectfully bringing those two terms together. Wine culture has a more established internal value system when it comes to sipping (and spitting?) and shuttling between vineyards, though most California breweries do offer tasting flights of their product with that same intent: allowing customers to sample and make purchases to be enjoyed safely later on. Even better than that, though, is having someone serve as designated driver, ideally (let's be honest) someone for whom you don't have to return the favor next time around. While wine country has no lack of limousines and tour buses and private charters, it's only in the past few years that similar resources have appeared for better exploring beer country. For Sonoma County residents,North Bay Brewery Tours is a particularly popular option, currently offering either the Brewery Bus Tour or VIP Brewery Tour most weekends for the rest of the year. 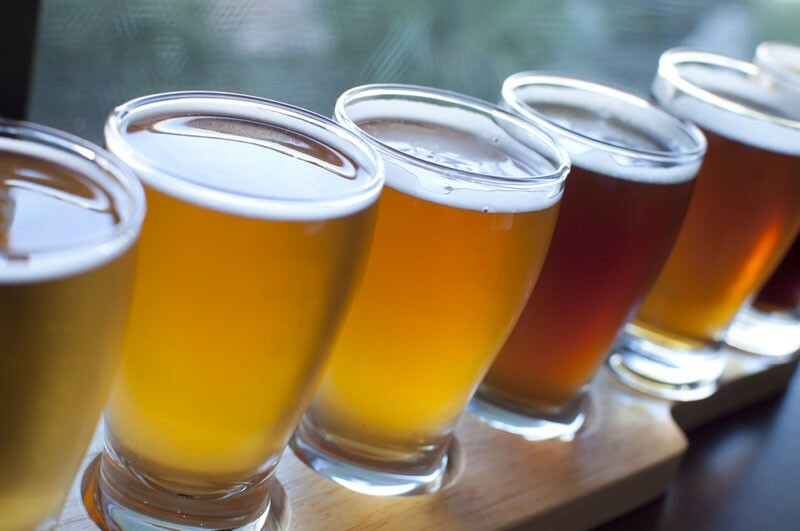 The Brewery Bus Tour ($75) picks up and drops off in either Rohnert Park or Petaluma, and consists of an approximately five-hour tour to three local breweries (such as Stumptown, Third Street Aleworks and Lagunitas). Tastes and pints are included, of course. The VIP Brewery Tour ($85) includes lunch as well as a behind-the-scenes brewery tour, an additional tour guide and (as available) an educational visit to Santa Rosa's homebrew shop, the Beverage People. The VIP option also boasts the added benefit of typically serving both Rohnert Park and Petaluma. Similar to others, North Bay Brewery Tours offers nearby drop-offs and help with cab arrangements afterward. Special events and custom private tours are available as well. For additional details, visit www.northbaybrewerytours.com. 707.602.7397. Brewery Adventures discontinued its public tours back in June, but currently still offers private touring options ($100–$400 per person) particularly tuned to Sonoma County beer destinations. Tours typically take in two to three breweries over a period of five hours, and include lunch, a chauffeur and tour guide, and a variety of vehicle options (ranging from a chartered bus to luxury limousines). They can generally accommodate anywhere from two to 25 guests. Brewery Adventures also features a "Bachelor / Bachelorette Party VIP Package" ($200-plus per person) that's further customizable with a selection of elaborate food-pairing and dessert options. www.breweryadventures.com. 800.230.2337. Two additional companies offer public brewery tours starting from San Francisco locations, while also having custom options that allow for pick-up and drop-off for North Bay groups. Bay Area Brewery Tours has public tours ($89) that run Fridays to San Francisco breweries (including Thirsty Bear, Speakeasy and Southern Pacific), Saturdays to breweries in the East Bay (Linden Street, Drake's and Pyramid) and Sundays to North Bay breweries. Private brewery tour packages ($60–$200-plus per person) include transport to and from basically anywhere in the area, with one's choice of stops and amenities. www.bayareabrewerytours.com. 415.999.4989. Similarly, Golden Gate BrewTours offers public tours ($90) starting in San Francisco that head for a range of Bay Area breweries. These trips include multiple brewery tours, private tasting rooms and meet-the-brewer opportunities. Their private tours ($80–$105 per person) accommodate pick-up and drop-off within 30 miles of San Francisco. www.goldengatebrewtours.com. 415.676.1149. While normally specializing in wine tours, Woody's Craft Brewery Tour promises stops at "one of the best breweries in wine country with a worldwide cult following," a small-batch craft beer brewery and a tour of yet another small brewery, explaining the art of a fine brew. See www.woodyswinetours.com. Next you will visit a small brewery with a big reputation where you can relax on a comfortable couch. A tour of the brewery will explain the art to the craft of a fine brew. One final option, brewtruc, bills itself as "SF's first taproom-on-wheels." With charity beer gardens and on-board draft handles that frequently pour limited-edition offerings from local homebrewers, it's more of a destination unto itself. 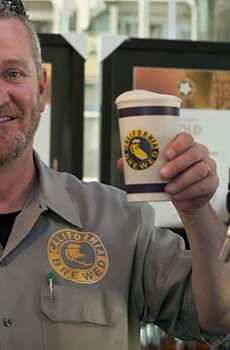 www.brewtrucsf.com. 415.987.6823.